Healthcare leadership is increasingly faced with management of generational differences within their organization. 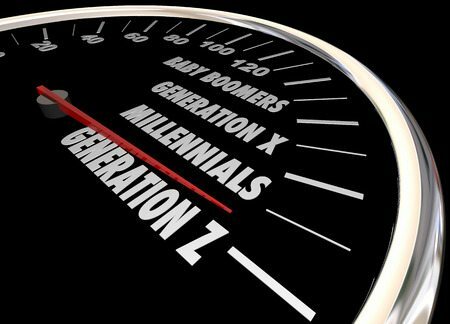 Pew Research Center (May 2015) recently released the latest statistics from the US Labor Force showing how Millennials or Generation Y has surpassed Generation X as the largest generation working in America. For the first time in history, some workplaces have four generations working alongside each other – the Silent Generation, Baby Boomers, Generation X and Generation Y. The Silent Generation, also known as Traditionalists, are individuals born between 1925 and 1945. This generation places value on conformity, working for the common good and dedication at all costs. The Baby Boomers are those workers born between 1946 and 1964. These individuals grew up with fewer rules and lived in generally prosperous times. This generation is well known for “living to work” and succeeding in their career is important. Boomers also tend to believe that success is only achieved through hard work (long hours) and playing nice, but being competitive. The final generational group, known as Millennials or Generation Y, are those born between 1982 and 2000. A common phrase among this generation is “Live, then Work!” – demonstrating a sharp contrast to other generational attitudes towards employment. Generation Y is intently achievement oriented and experts at multitasking. Healthcare facilities are recruiting and staffing multiple generations across all areas of patient care as well as support services. Combine these varied perceptions about work-life balance with a 24×7 operation laser focused on delivering effective, high quality patient care, and you can imagine the challenges that surface. Understanding and successfully embracing the generational differences is critical for hospitals to recruit and retain the best talent and to ensure that workplace tensions do not interfere with an efficiently run organization. An advantage to cultivating a multigenerational workforce is the reflection of your patient population within your organizational workforce. Customers/patients like to see individuals like themselves in any organization, and this effect is magnified in a vulnerable setting such as a hospital. The key to navigating generational differences is the ability to effectively address and utilize the richness of the differing values and expectations of each generation. Leadership should be careful to support their managers in dealing with the challenges that arise with multigenerational staffs. A variety of strategies can be introduced to assist the facility in managing multi-generational staffs. One of the most important is the development of a mentoring program between established staff and new hires. This initiative should encourage more cross-generational interaction and provide opportunities for each to learn from the other. Be careful to avoid generational stereotyping – everyone should be valued for their contributions. Different generations come with diverse learning styles, so your training plans must be prepared to accommodate variance in learning approach. Baby Boomers tend to favor more traditional training methods like classrooms and textbooks, while younger staff may prefer more interactive, technology-delivered forms of learning. This is an opportunity to blend the best of all learning styles. Seek opportunities to adapt management style toward collaborative and team-based work assignments. This allows everyone to share information and contribute to decision-making while encouraging more cohesion in the workplace and fostering higher engagement. You will encounter different needs and must be able to work towards compromise – provide an opportunity for all voices to be heard. The competition to hire highly qualified healthcare workers continues. Hospital leaders will find themselves balancing the need to keep knowledgeable, dedicated staff in place while recruiting and retaining younger workers. Double this challenge with the fact that younger workers may not WANT long employment tenure – and Baby Boomers will begin to retire. It is vitally important to make plans to engage and inspire multigenerational teams to learn from each other while continuing to provide patient centric care. Because the reality is, waiting is not an option.